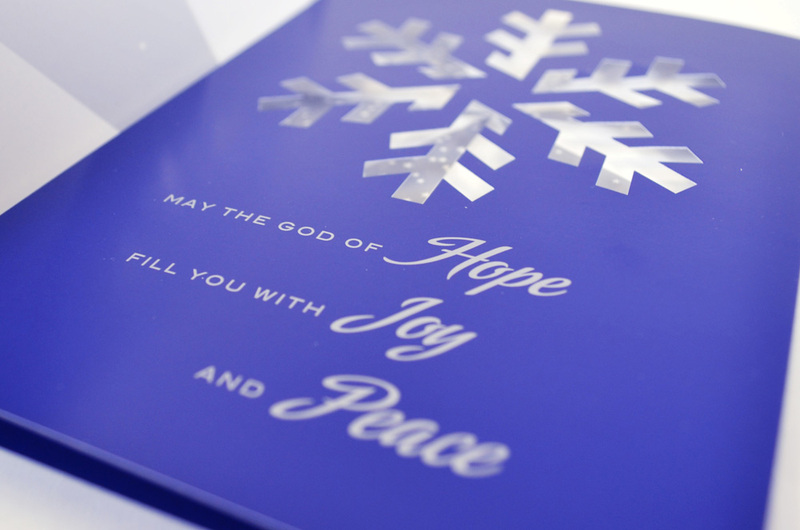 This is the official 2010 Christmas Card designed for Tabor College. It is distributed to the college’s community of alumni and constituents. 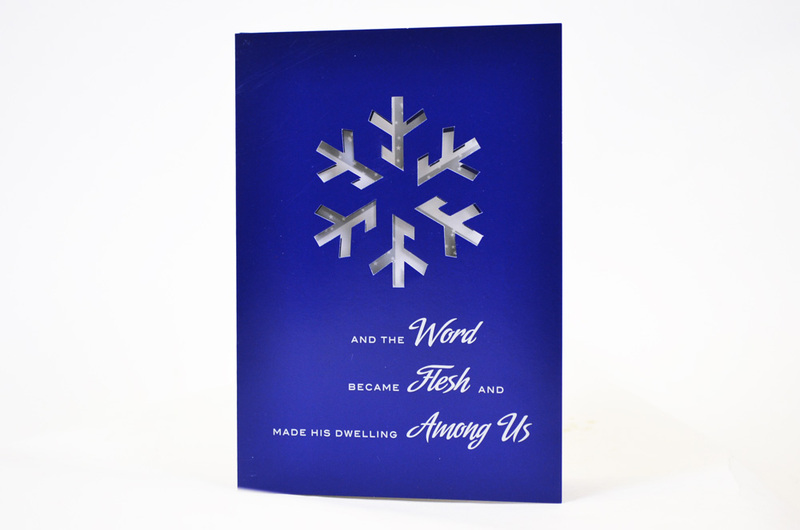 The theme of the card is “God with us.” It is based off of the idea of the birth of Jesus being the incarnation. Jesus became one of us and took on skin. This card was designed to explore what that means to us today. In light of the incarnation, Christmas is a sort of bridge between heaven and earth. I wanted the card to really show that, to illustrate that journey. The first thing I did was to select an appropriate verse for the message. I settled on the first part of John 1:14 “And the Word became flesh and made his dwelling among us.” This verse really spoke to the incarnation. 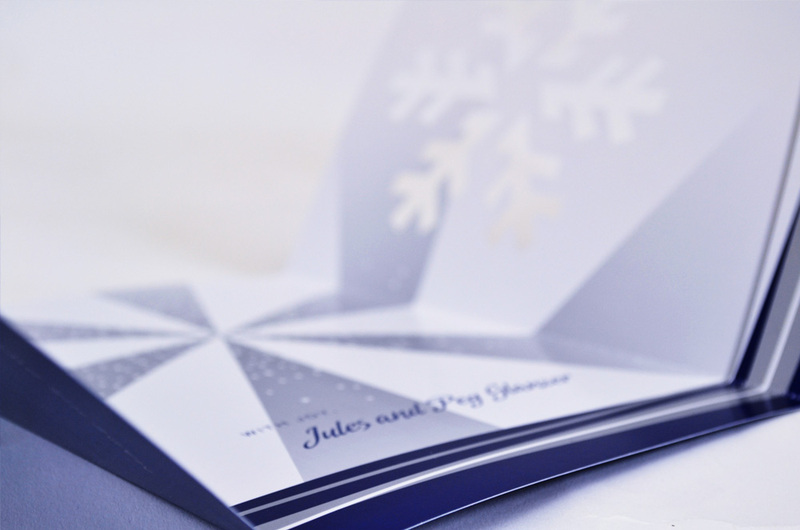 One of the requirements for the card was that it be simple and elegant. I always had the two-fold card in mind. It represents the journey of Jesus and his birth—of what happened— and connecting it to the present— of what that means for us right now. My original idea was to have multiple die-cuts, finally revealing something on the inside. 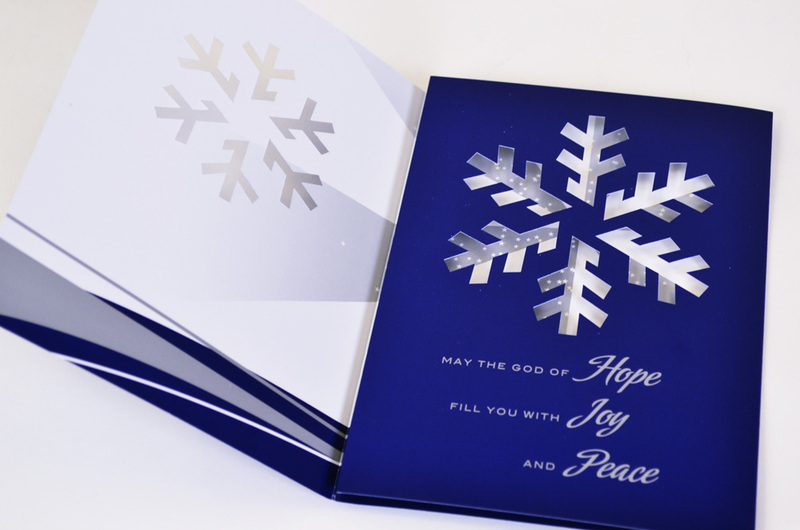 The final design has two snowflake die-cuts opening to reveal a light burst.